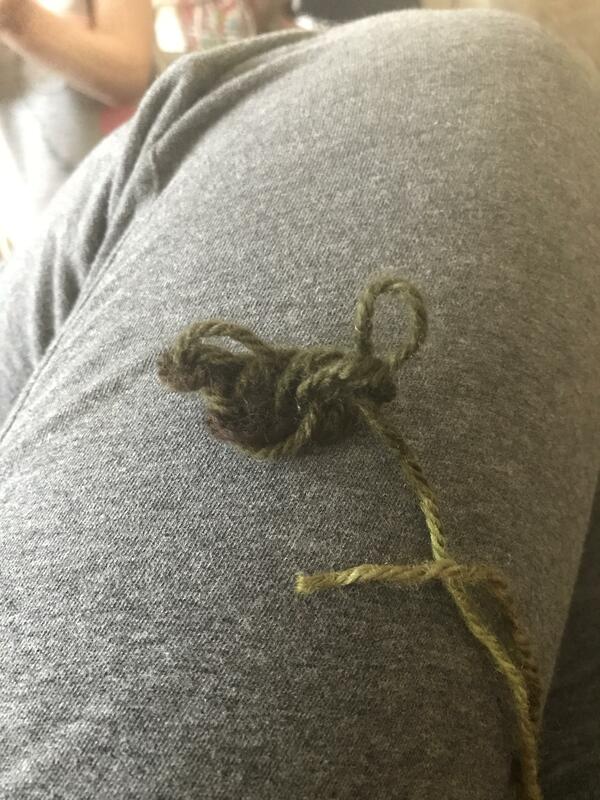 Went to visit my inlaws and forgot my knitting. 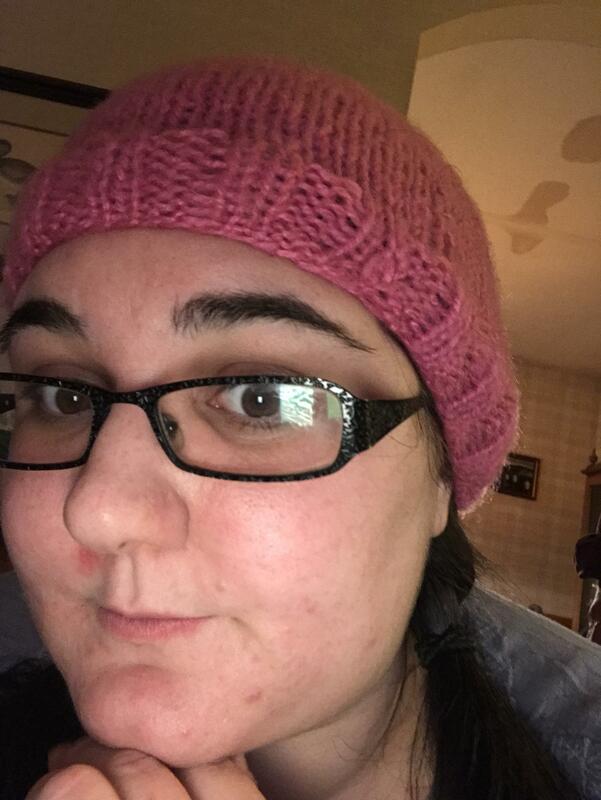 Mil saves the Day with grandmas knitting stash! And I get to keep it! 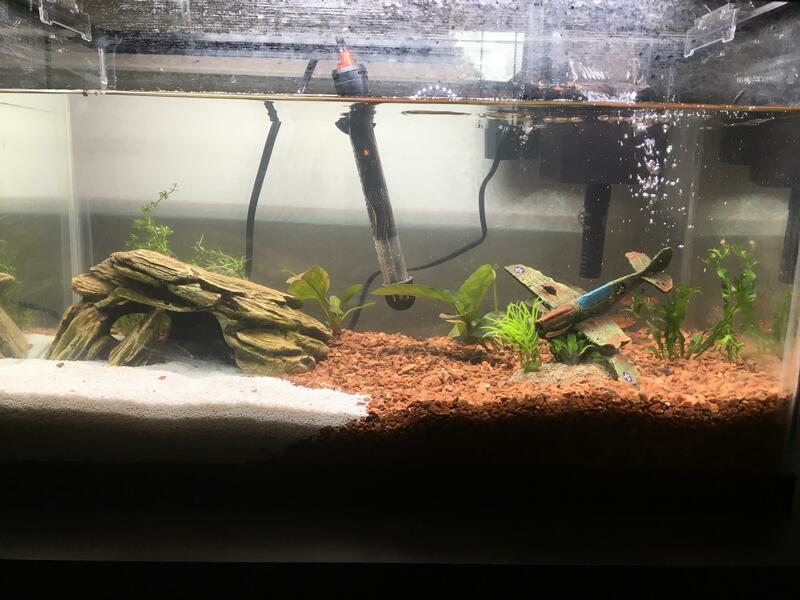 Did I get the right stuff for tetras? McCall’s m5791 and an apron I threw together. There are so many problems but for my first dress and first time following a pattern I’m ecstatic! 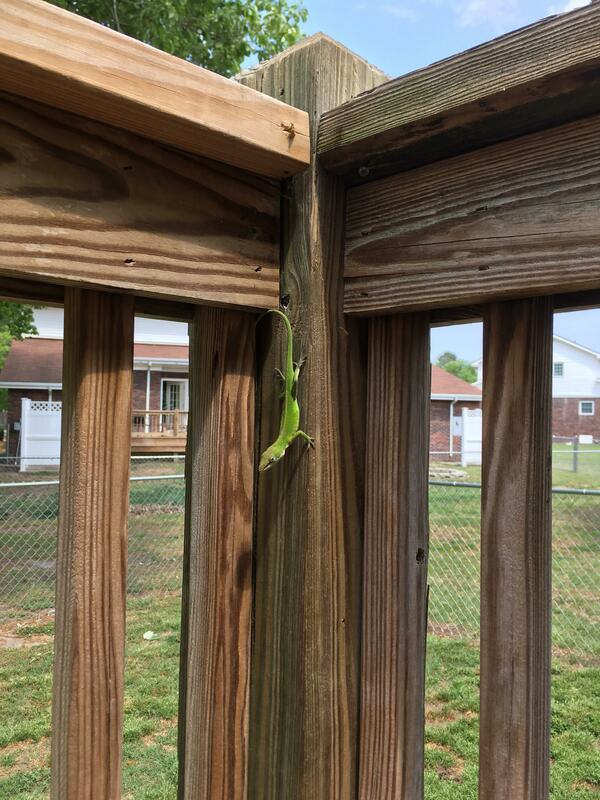 This little guy was hanging out with my cucumbers. 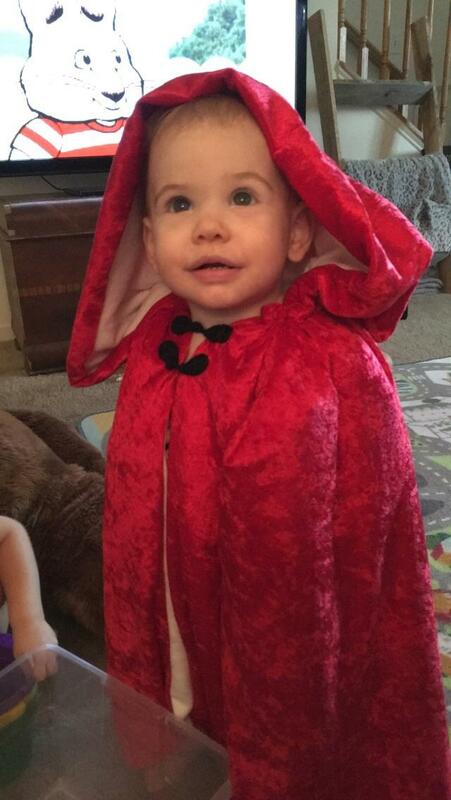 I made my 1 year old a cape for Halloween! 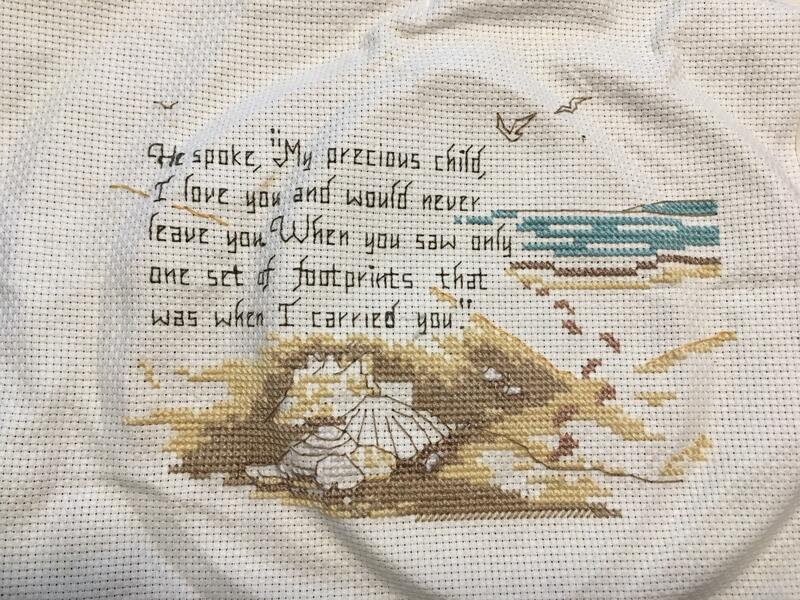 [wip] my first cross stitch that I started 6 years ago for my mom. I miss counted a lot so I got frustrated. 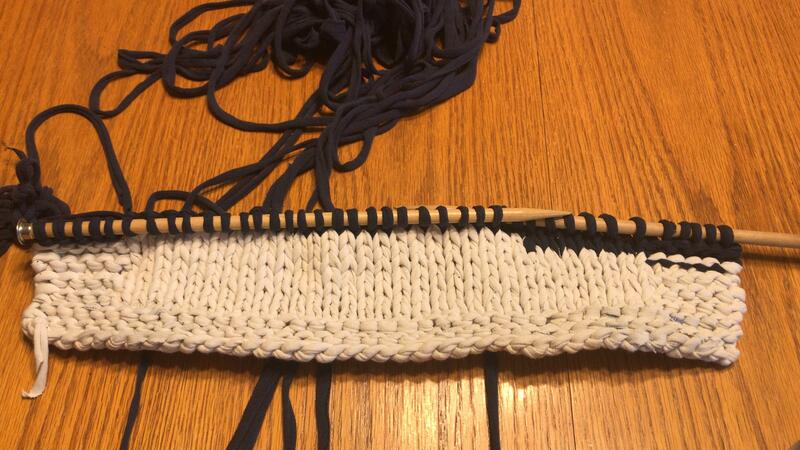 Working with t shirt yarn and it is VERY stiff! 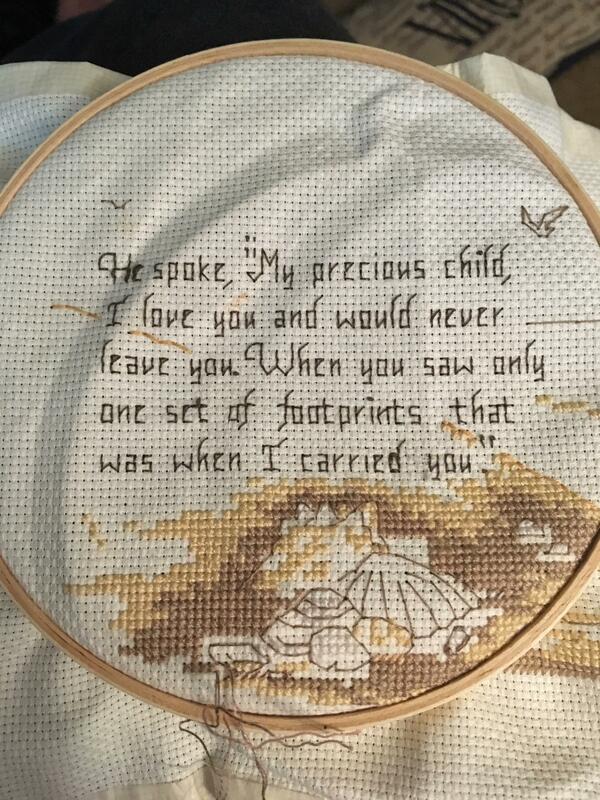 [wip] here's a shot with out the hoop. Finally on to something other than brown or gold. 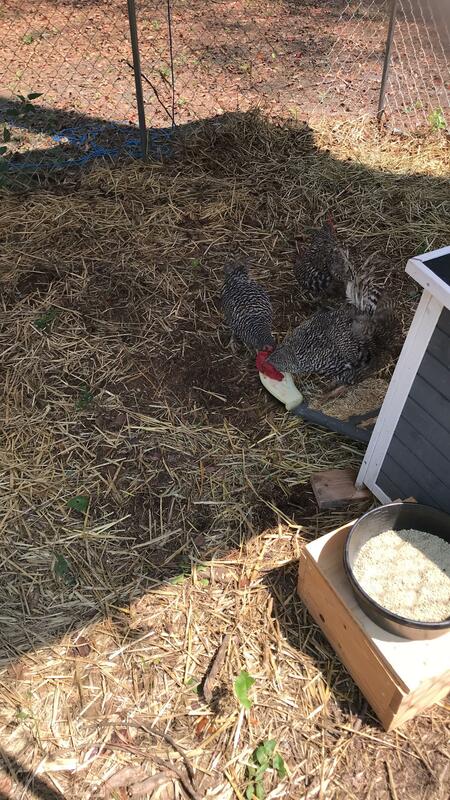 Got our chickens! I’m so excited! 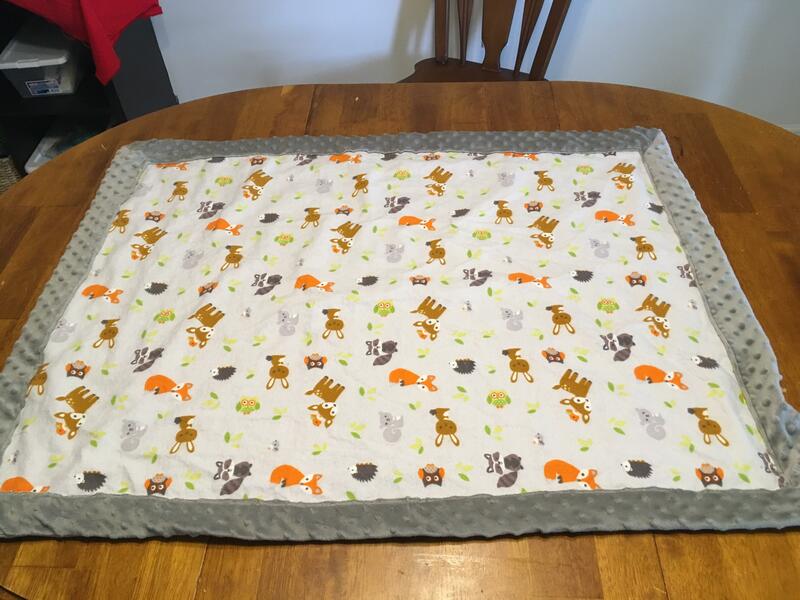 Made a blanket for my nephew just in time for the baby shower. Minky and a baby flannel. 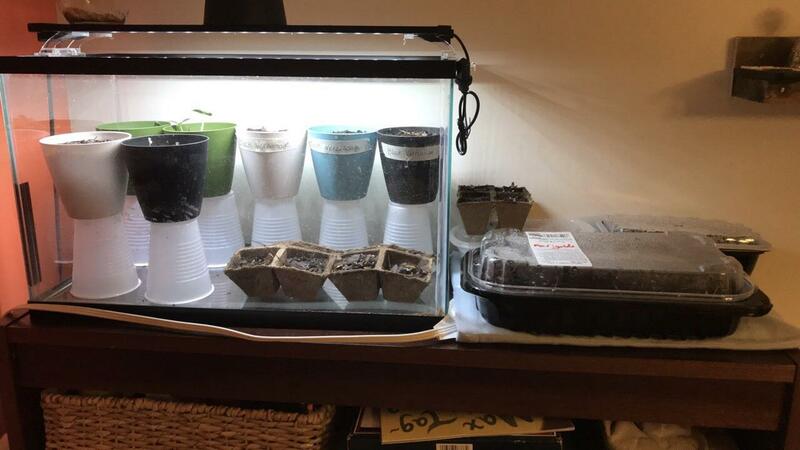 I can't wait for the first cucumbers to start coming in! 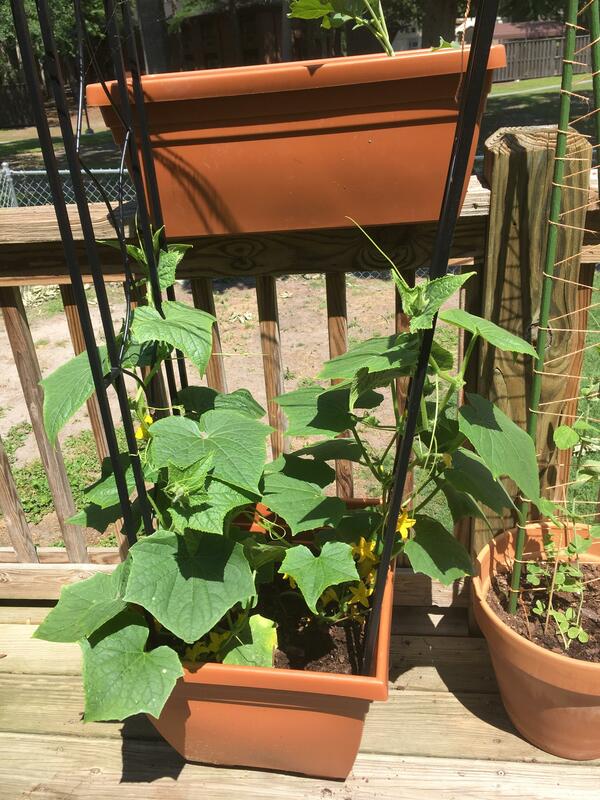 This will be the first year I've successfully grown cukes in a container. New baby for Valentine’s Day! Now to find the perfect pot. Finally decided how I want the pieces laid out but now I’m not sure where to start... how would you do it? 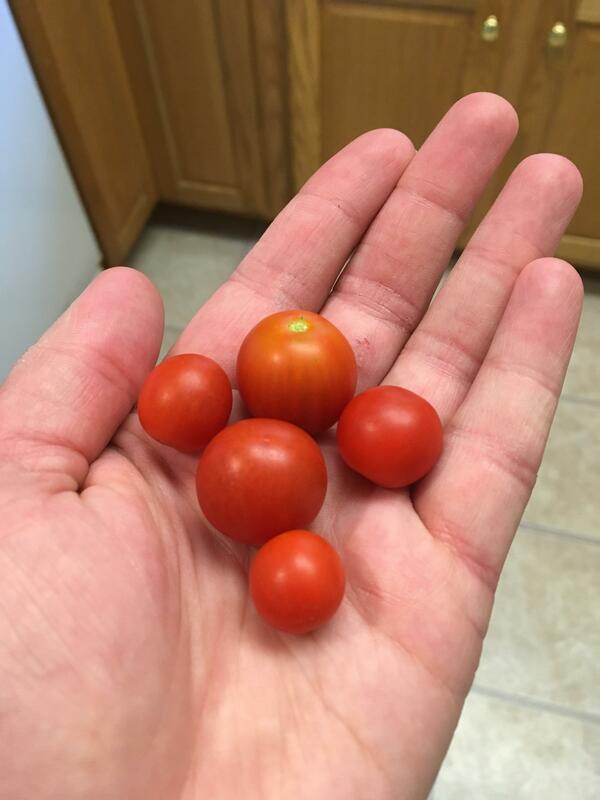 It's been so long since I've grown my own tomatoes. 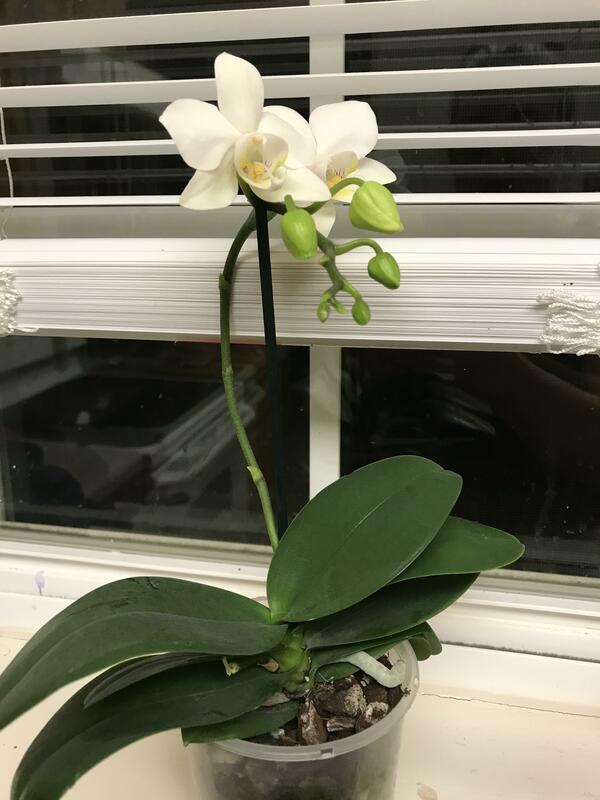 This has been such a weird year for my plants! 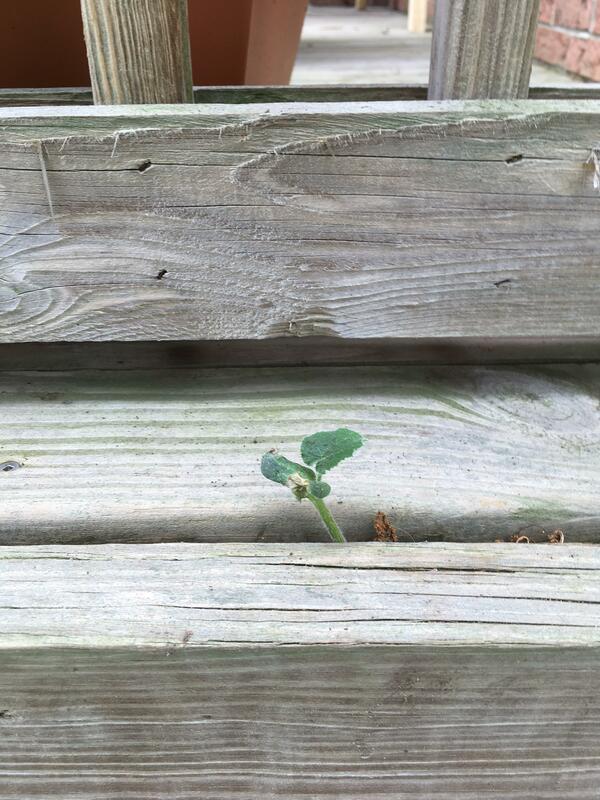 I'm pretty sure this is a pumpkin from when we gutted and carved them on our deck in October. What do I do now? 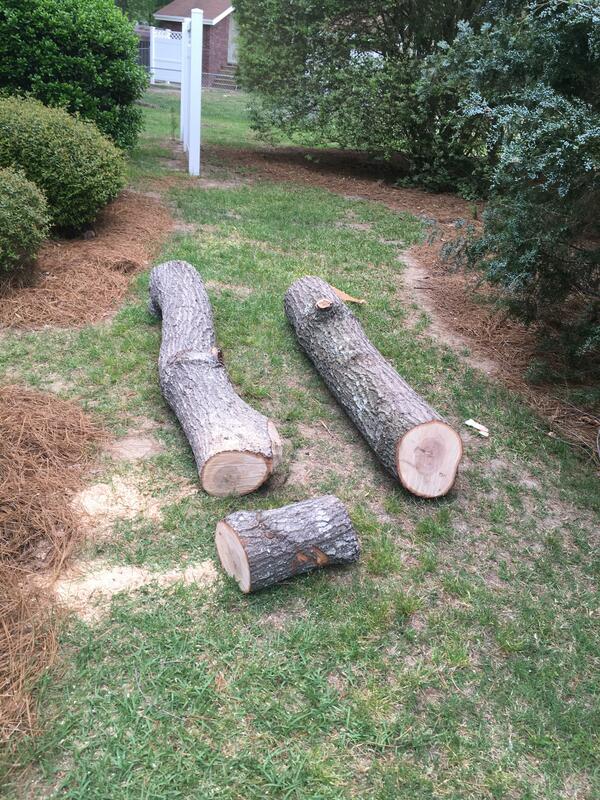 I have the top 1/4 of an oak tree. 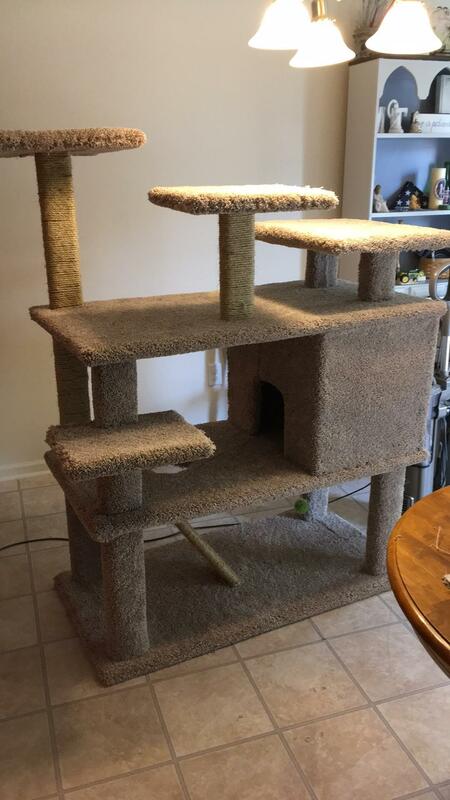 I love building stuff but I could pass on covering it with carpet. 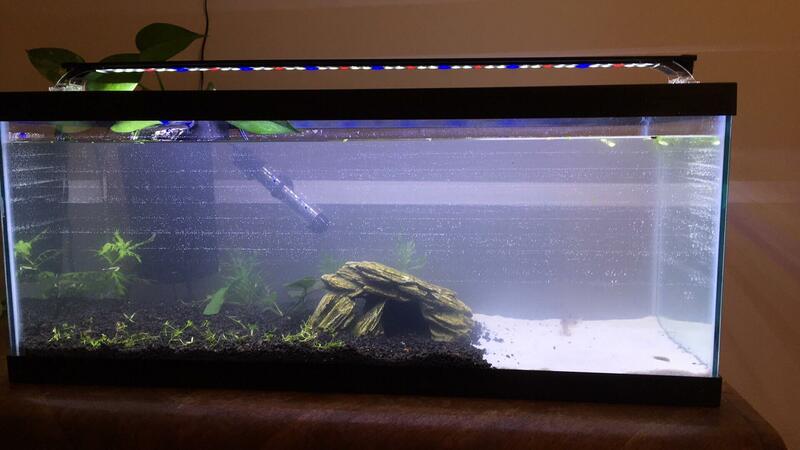 20 long is planted and filled. 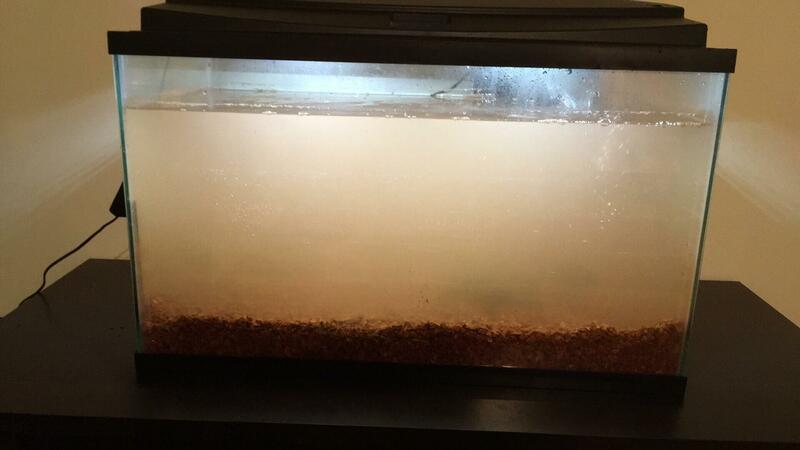 Just waiting to make sure the filter run in an established tank will work! 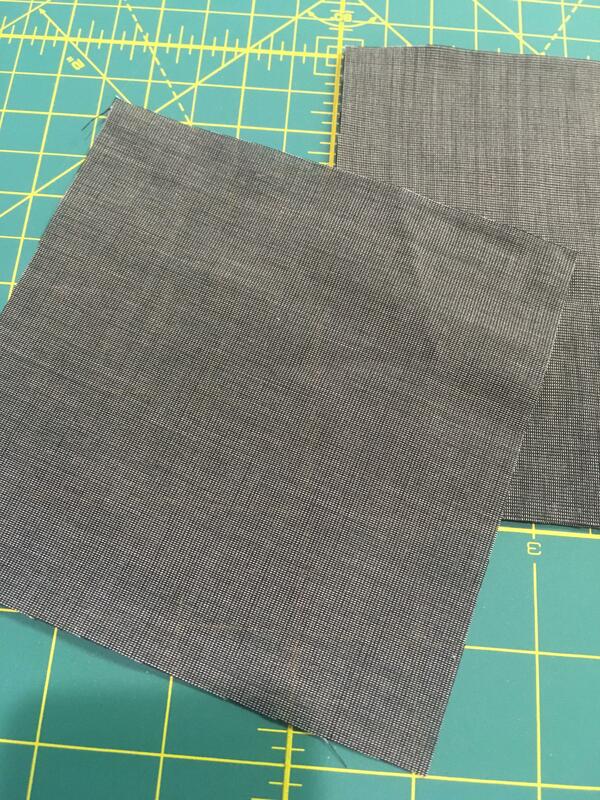 I’m trying to make a quilt from dress shirts and this fabric is fairly thin. 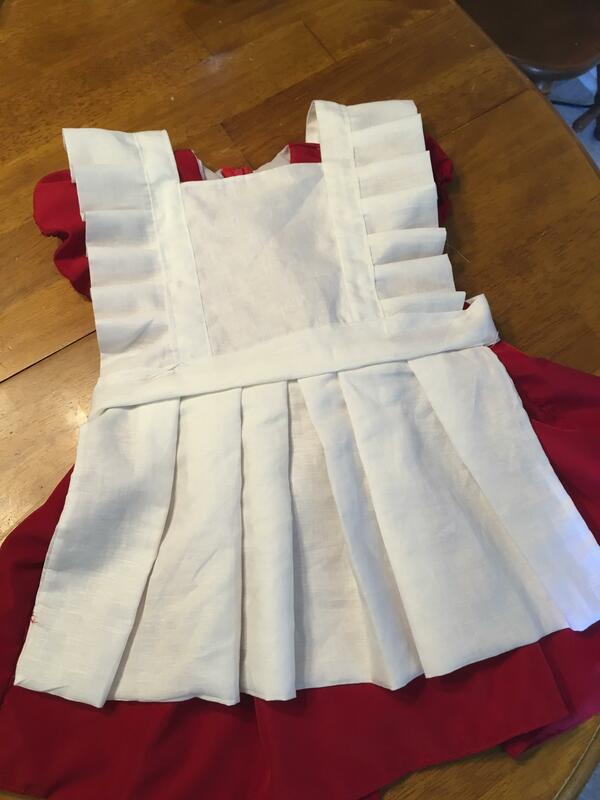 Would I be able to use interfacing? 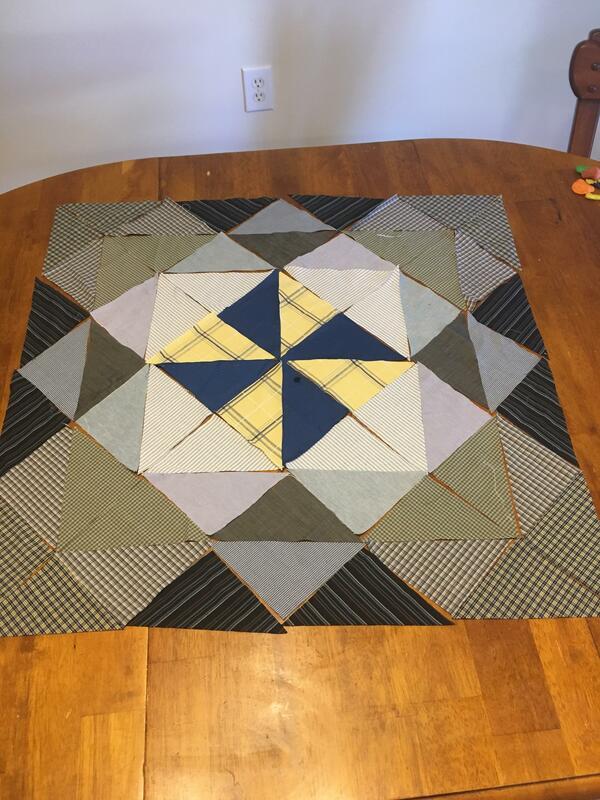 Would I just put a piece behind each square as I piece together? So I feel like I'm only making the most basic stuff. 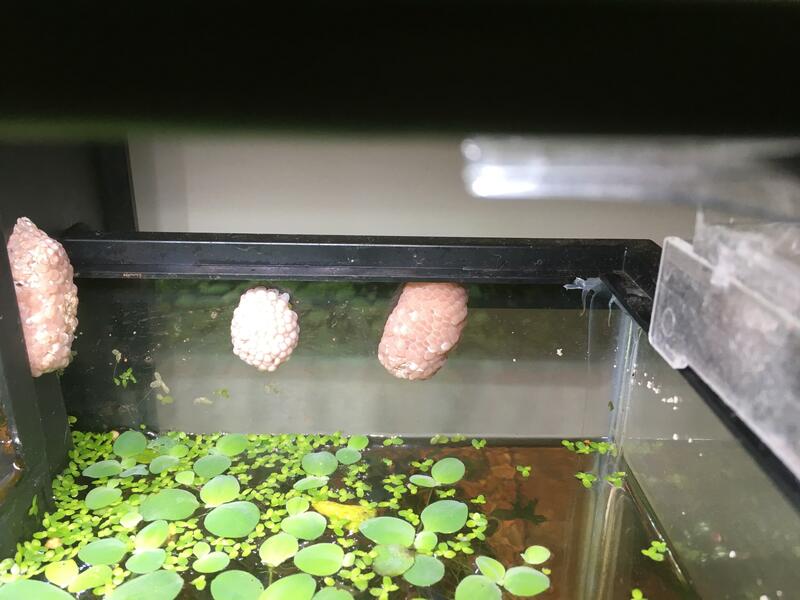 I separated my ivory and gold mystery snail, these speared in the tank with the gold. There's too many! 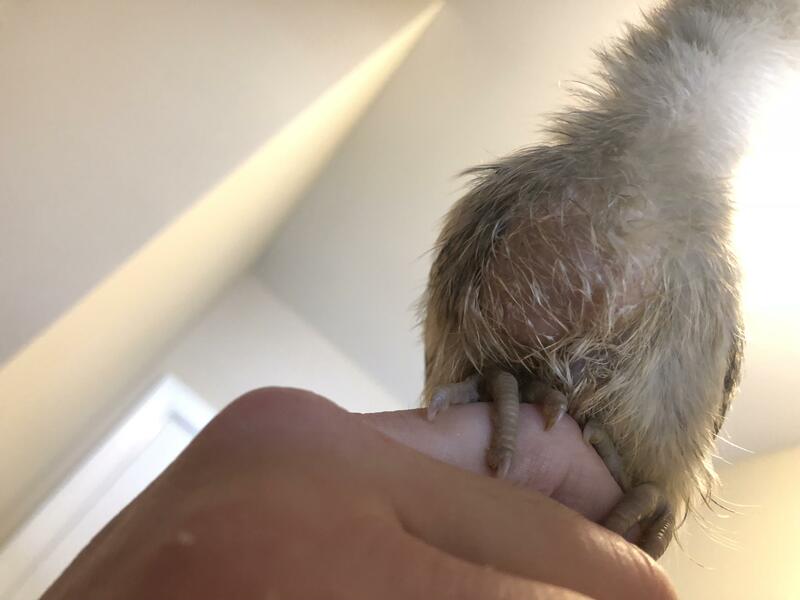 What is wrong with my chick?!? 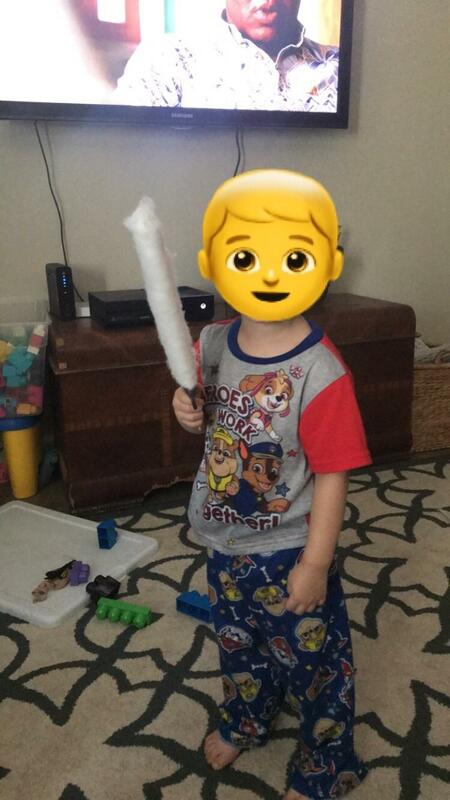 Noob needs help! 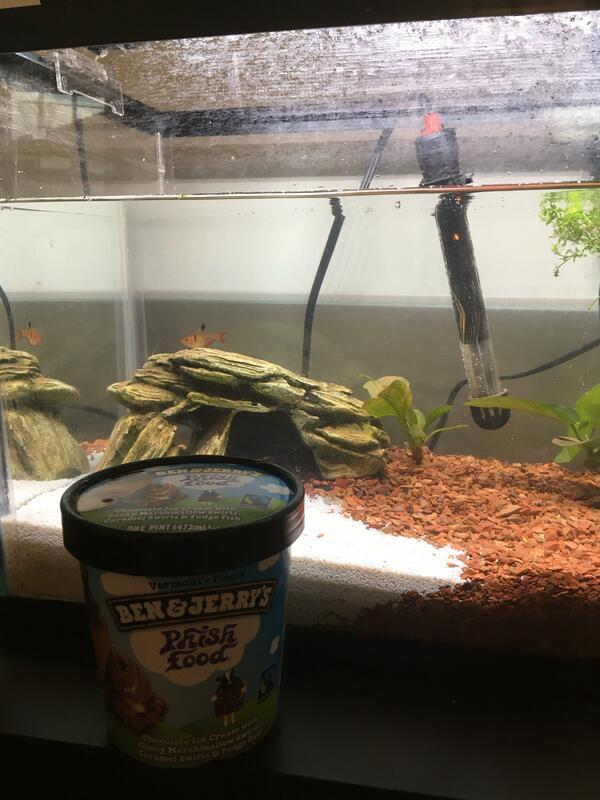 I bought this 10g tank to set up with some fish for my almost 2 year old. Is it supposed to look like Mars? I took everything out and washed it all down, including the substrait for the plants, and it started to clear up but still looks a mess. 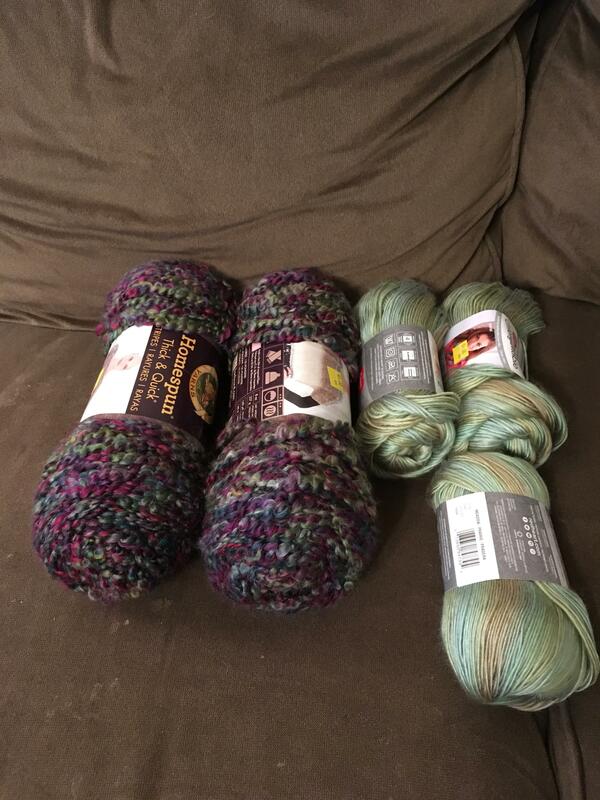 My mother in law found yarn on clearance for me! Now I just need ideas for these looser yarns. 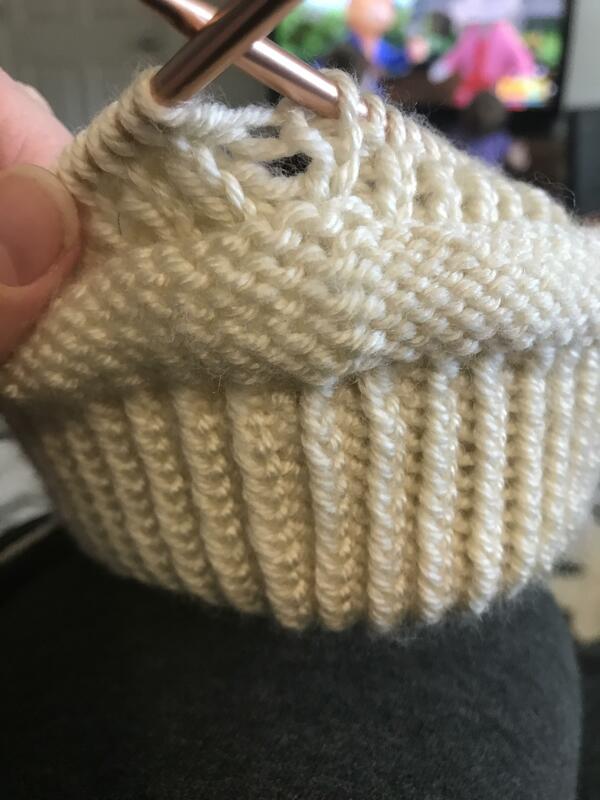 I dropped a stitch at some point and I just started the decrease! I’m going to go cry for a bit. 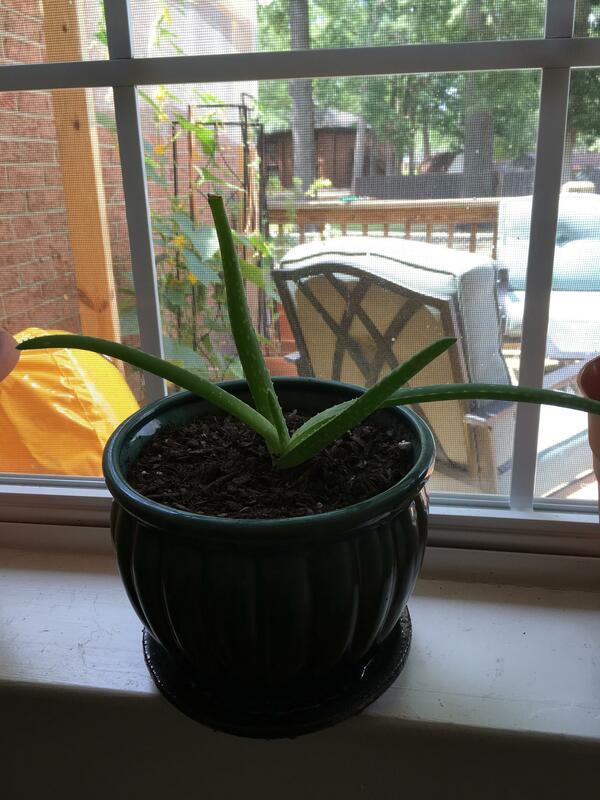 I've had this little guy for 4 or 5 years and it hasn't gotten very big, just long and produced 3 baby aloe. Is there something I'm missing? 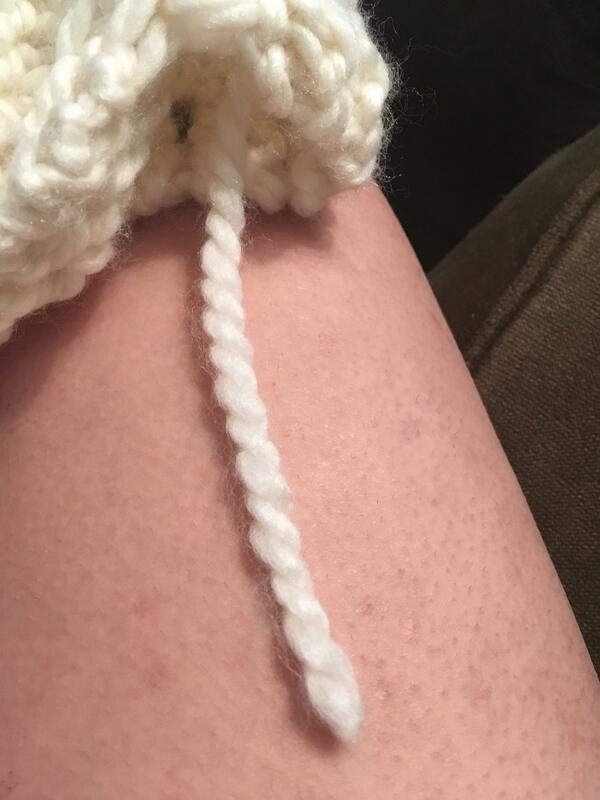 Is this pretty normal for knitting in the round on DPN? It’s like this at every corner and I already checked if I dropped a stitch. 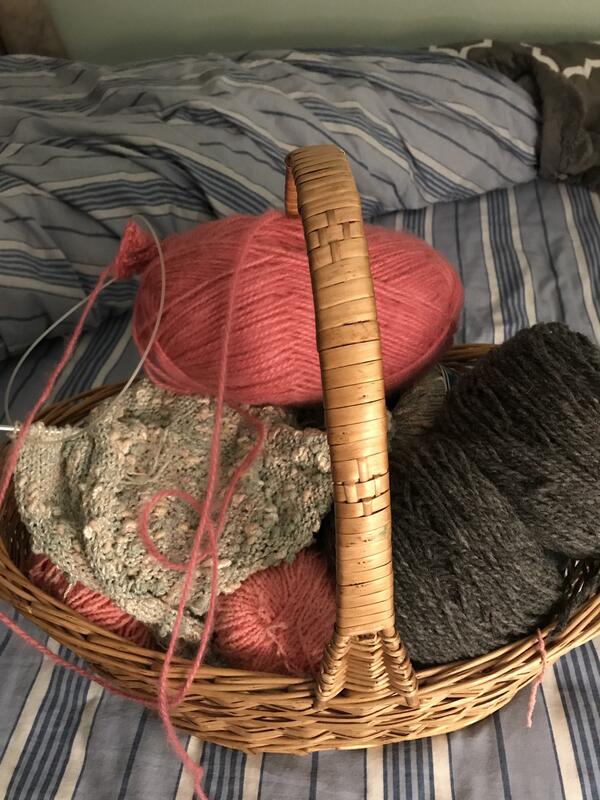 I picked up some locally dyed yarn while we were on family vacation and now I don't know what to do with it... I kind of wanted to make a wrap or shawl but don't think I'll have enough. 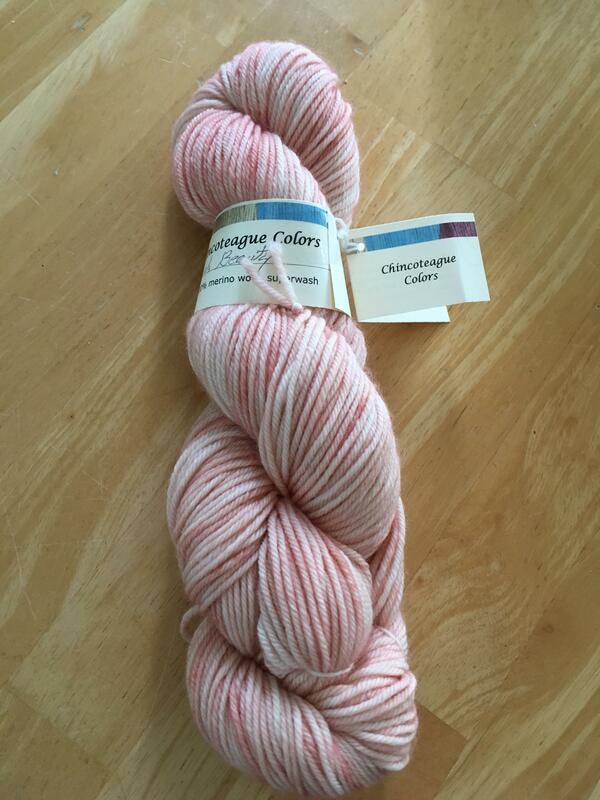 Any one have a basic, beginner shawl that might work with 250yrds? 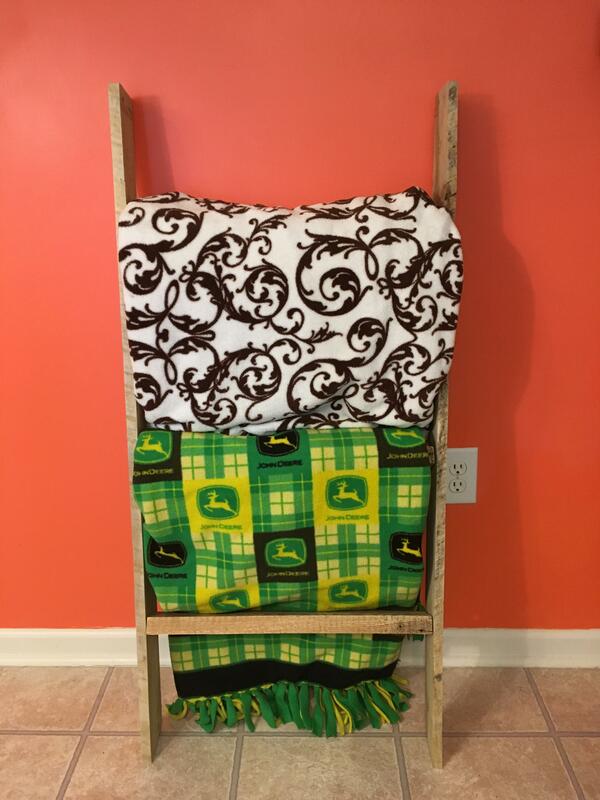 I’m ready to move things out side thanks to the crazy warm weather in eastern NC! 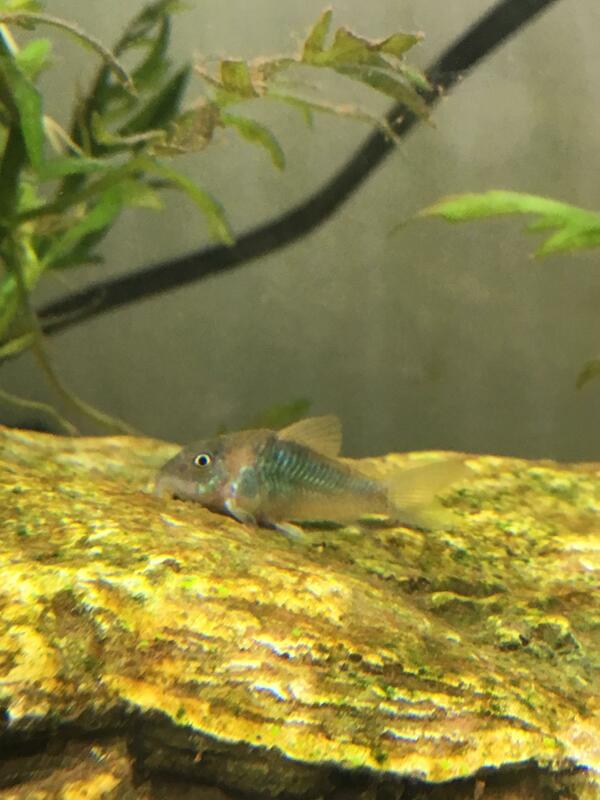 Is it possible to get a fish id? I know it's a Cory but that's it. 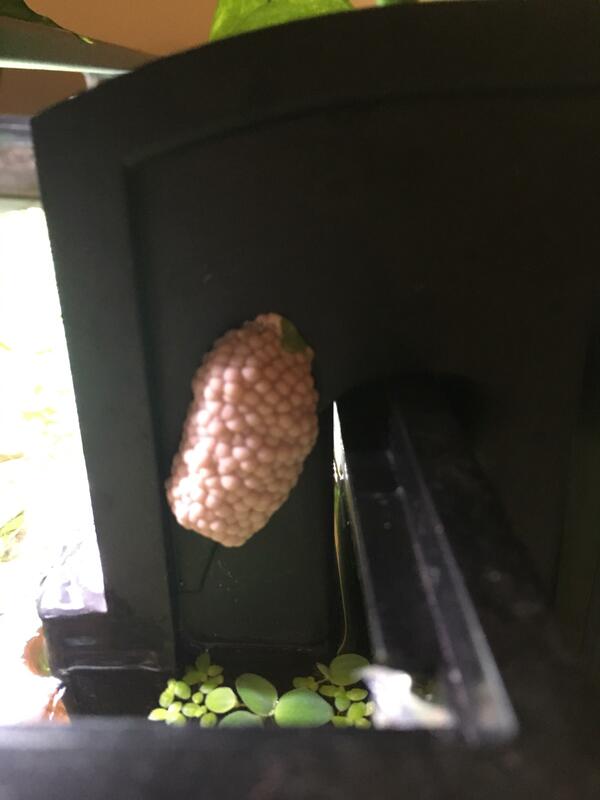 My mystery snails laid a clutch of eggs! 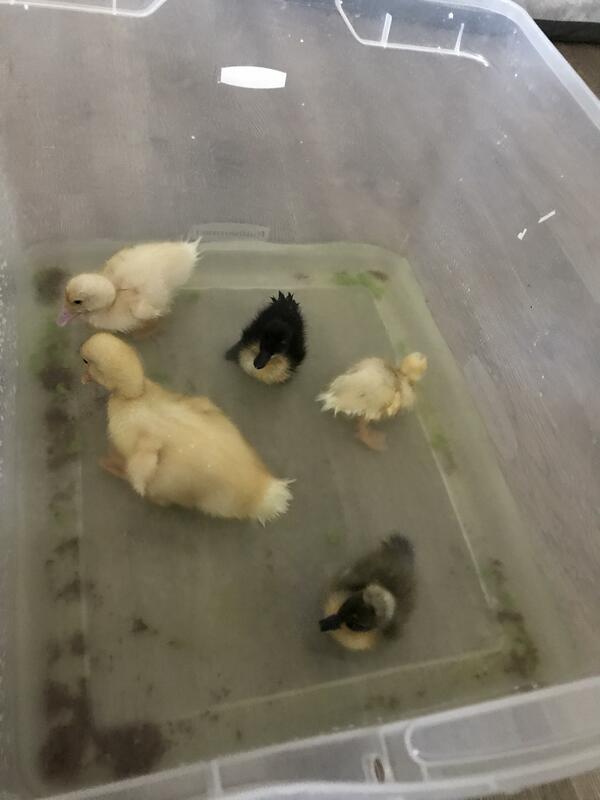 What are the chances they'll hatch? I know they need moisture. 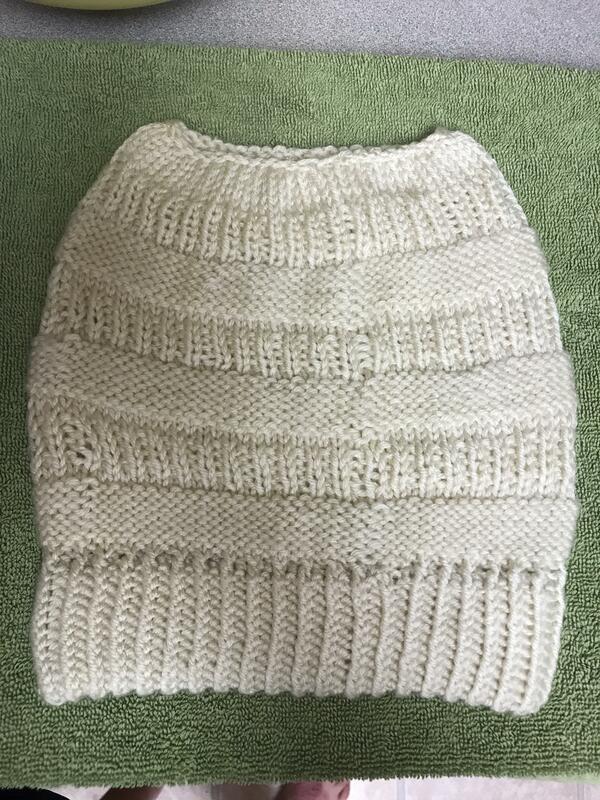 I can wear the hat I made for my 1 year old! 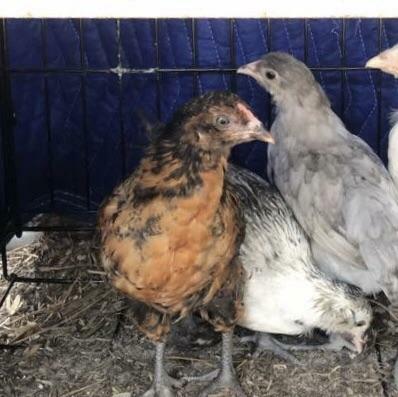 There's no way they could have hatched already, right? But I have 2 small weird things crawling along my filter case. I can't get a good picture of them, they're so tiny! I'm coming apart at the seams! Or at least my work is. 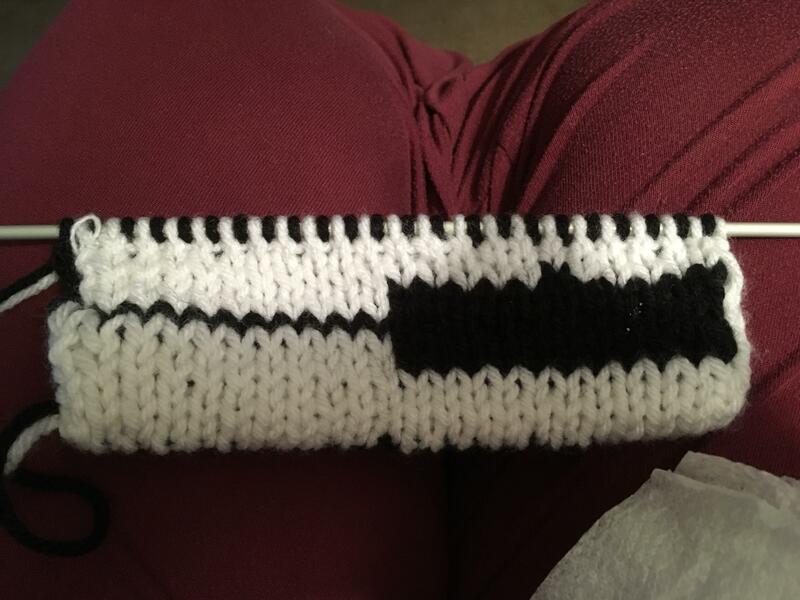 Tried doing a double knit piano scarf with a slip stitch edge and somehow I've messed it up and the sides are open. Will sewing them up after look weird? 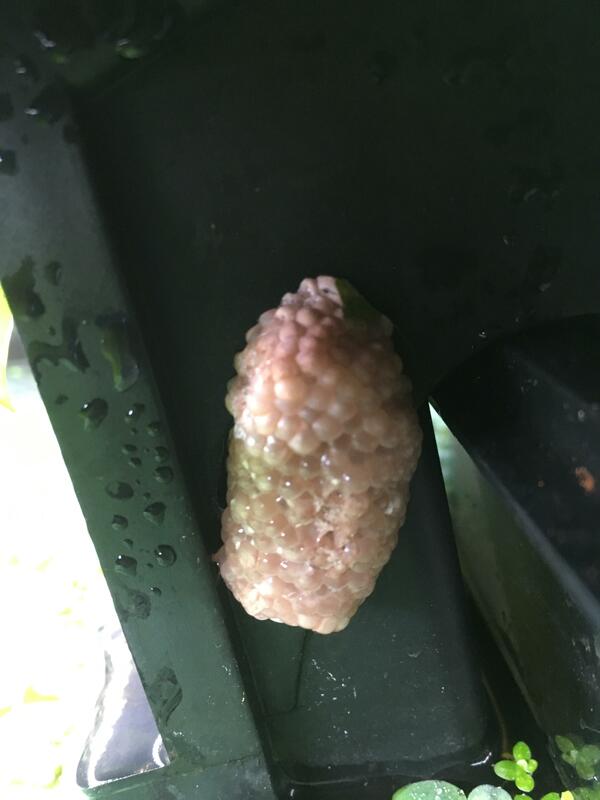 What kind of snail is this? 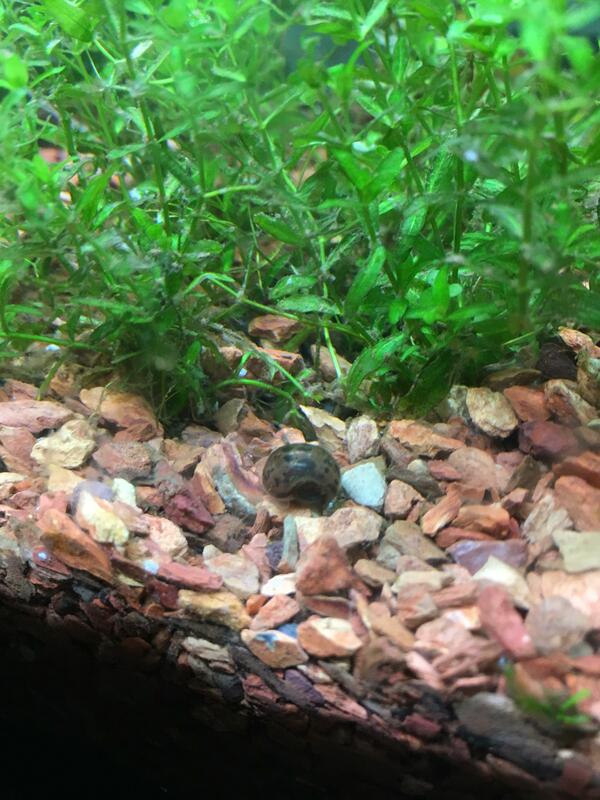 It doesn't really look like a mystery snail. 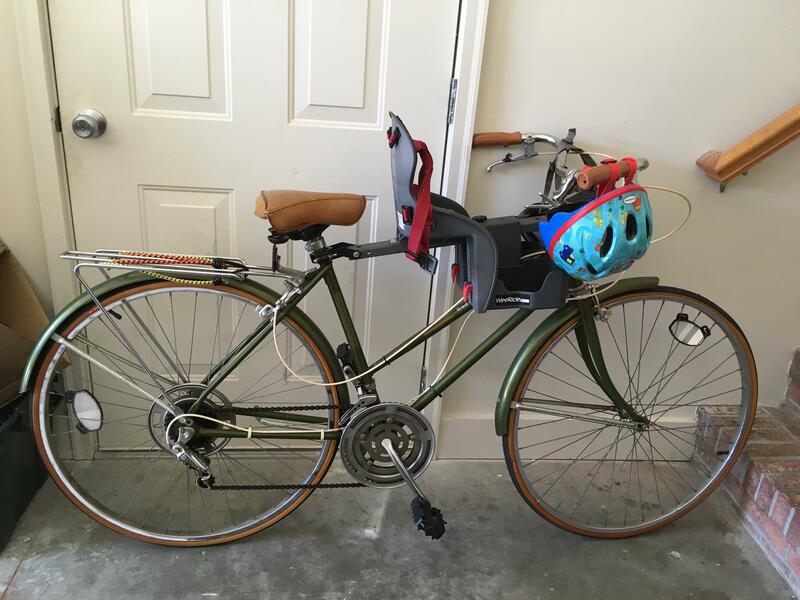 This bike is about 40 years old and I really like riding it but would replacing parts like the seat and handle bars and the lever for changing gears be worth it or even possible? 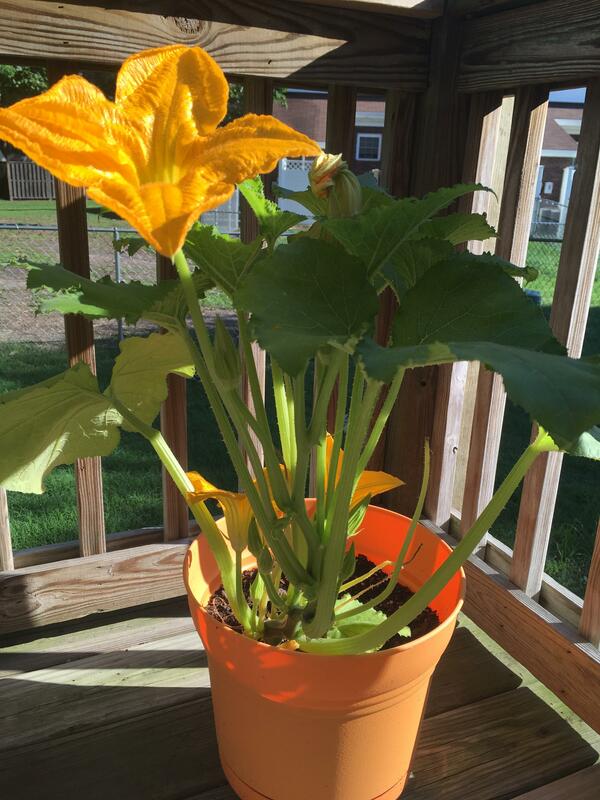 Is this pot too small for a pumpkin plant? 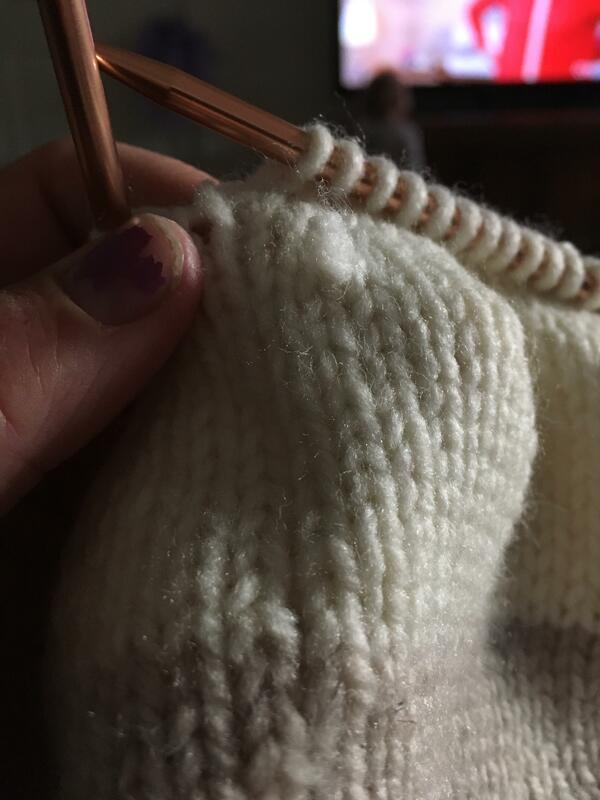 How do you figure out what kind of yarn you are using if you have lost all of the info? Ph of 6.0, .5/20/1, just changed water and vacuumed the gravel yesterday. Help?